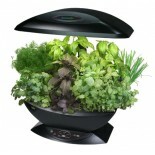 AeroGardenshop.co.uk - FREE shipping from £50,-!! How do I install my AeroGarden? If you love gardening but do not have an option to create an outdoor garden, it’s time to enjoy a thriving, beautiful indoor garden with AeroGardenâ the ideal way of growing your favourite plants inside without hassle. This complete kit for planting your favourite herbs and plants is produced by AeroGrow International and the kit comes complete with many features that are perfect for those just beginning to garden. You don’t need a green thumb to have beautiful, flourishing plants grow right before your eyes and inside your own home. An AeroGardenâ has the appearance of a container designed for cultivating plants in a controlled setting inside your own home. You might say this is one of the easiest ways to grow your own vegetables, plants and herbs but there is a reason it is so easy; features like regulated moisture, nutrients, temperature and light help your plants thrive. Sunlight is stimulated when needed so you don’t have to keep your AeroGardenâ in a particular spot of the home; near a window, ample sunlight, etc. So how does the AeroGardenâ work? It uses ‘seven-pod’ technology with each pod circulating water and oxygen throughout the seeds and roots. This ensure they regularly receive the proper amounts of nutrition allowing them to achieve optimal growth. Each seed pod is 1.5 inches in length. There are a variety of AeroGardensâ in different sizes to choose the best suited for you; small size that saves space, the standard classic size. You can acquire everything you need for a complete season of growth and harvesting when using our seed kits for the AeroGardenâ. 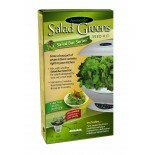 You also receive a guide that explains harvesting and how to use the AeroGardenâ. Try out the included recipes that can be used from your fresh harvests. Also included are bulbs and seed/nutrient time-release plant food nutrients designed to work with these particular systems. You won’t need to worry about a mess or dealing with dirt because you do not need it to use the AeroGardenâ. In addition, the changing seasons won’t affect them so you can enjoy your fresh favourites all year long. No weeding or dirt involved means a great alternative for those who love the benefits of a garden but cannot spend the time necessary to fully enjoy it. These systems use an electrical plug and typically do not require assembly. You are not very limited when it comes to what you can grow in your AeroGardenâ. If you enjoy cooking you’ll enjoy growing fresh vegetables, fruits and/or herbs right in your own home. Imagine the dishes you could create year-round with that kind of access to fresh greens! If you have a large outdoor garden you could utilize an indoor AeroGardenâ using our starting seeds and moving them outside when ready. If you prefer fresh flowers and enjoy having them displayed all throughout your home then grow your favourite flowers right in your own home with the AeroGardenâ. You can enjoy your plants for up to six months once your seeds sprout. In just a few short weeks you can start enjoying your first harvest and all that is required of you is about 5 minutes a week. However, if you travel often you can still enjoy the AeroGardenâ because plants can remain unattended for up to 2 weeks. 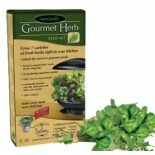 The seed kits you can choose from when purchasing the system include salad kits, mixed herbs, vegetables and flowers. We also have kits that are ideal for those who want to move their grown plants from outdoors to inside.